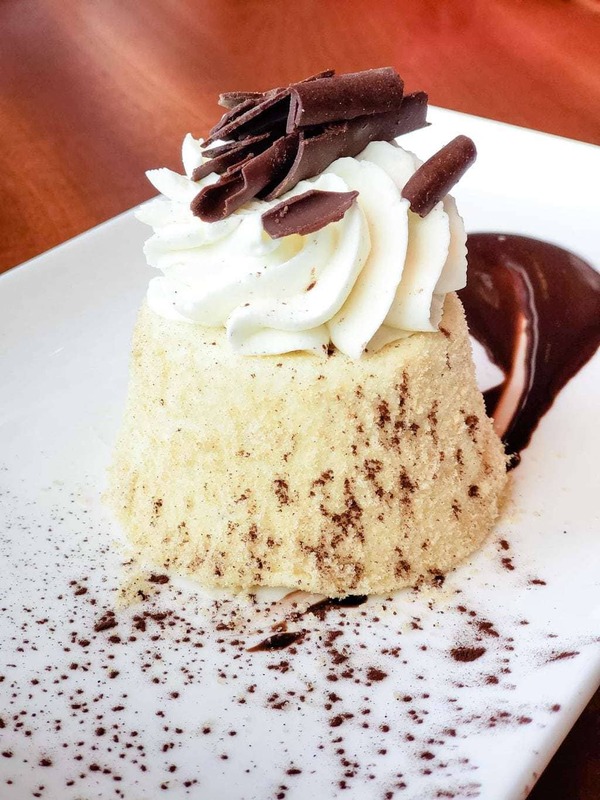 If you are in the Disney Springs area and love Italian food, Maria & Enzos Ristorante needs to be included in your dining plans. From the moment that you enter their doors, it’s as though you’ve taken a trip to Italy. I was provided a complimentary meal for my review but all opinions are my own. Not only is it a local favorite, but it’s the perfect place for tourists as well. Everyone who arrives is family and no one will leave feeling hungry. There are few dining experiences that will stand out in your mind throughout your lives, but your time and meal at Maria & Enzos will be one! Maria & Enzo’s is included as one of the Disney Table Service Dining options. This restaurant is equal to one table service credit per person. Reservations are required with Disney and require a credit card to reserve. You can contact Disney at (407) WDW-DINE or book through My Disney Experience. 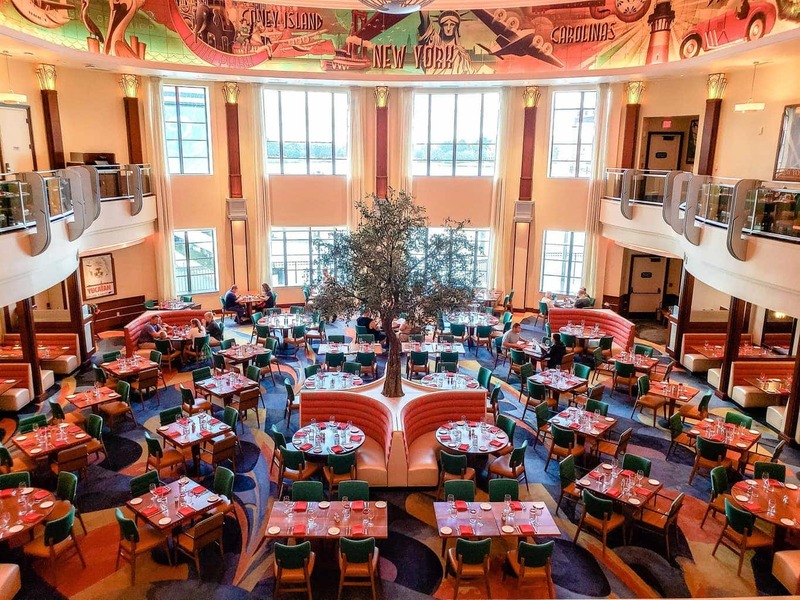 Be sure to read about the 2018 Disney Dining Plan changes. The restaurant is set in a stylish 1930’s airport terminal, but it’s also two levels with stunning and beautiful views of Lake Buena Vista. 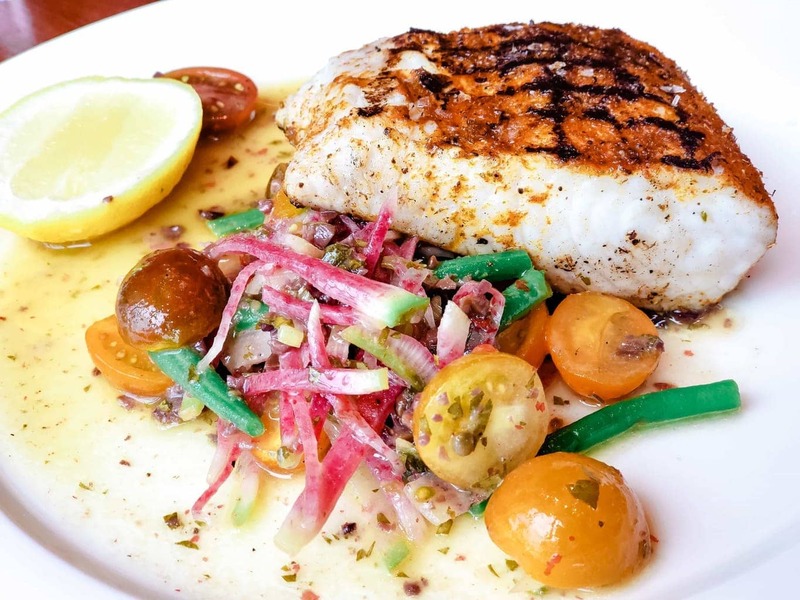 Everyone always says that it’s important to dine with a great view, and Maria & Enzos Ristorante prove that it’s the truth. You could easily spend some time exploring the inside of the restaurant, but in all reality, the view isn’t the best part…You guessed it…it’s the great Italian fare! There’s just something so warm and comforting about eating and enjoying authentic Italian food. 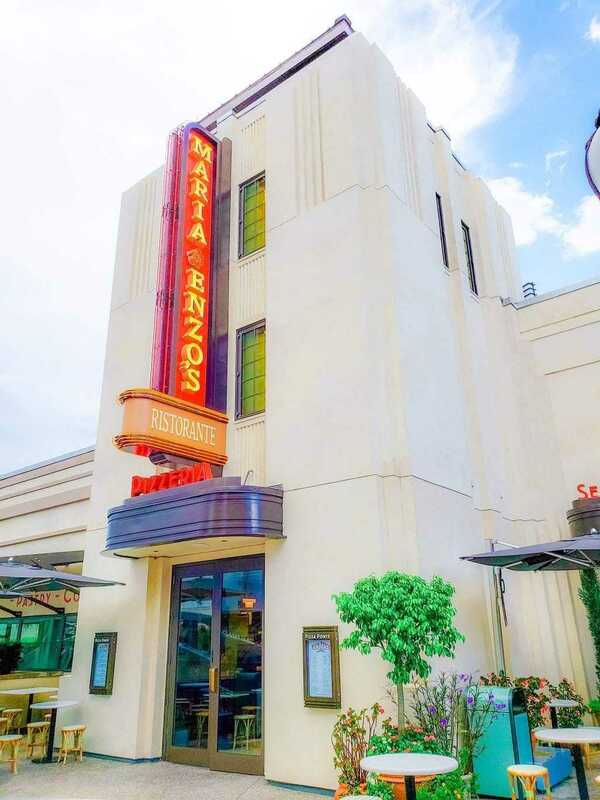 The homemade pasta, the perfectly cooked seafood, and fish…all of that and more can be found on the menu at Maria & Enzos Ristorante. Don’t miss out on their Spaghetti & Meatballs, or their Three Cheese Ravioli! 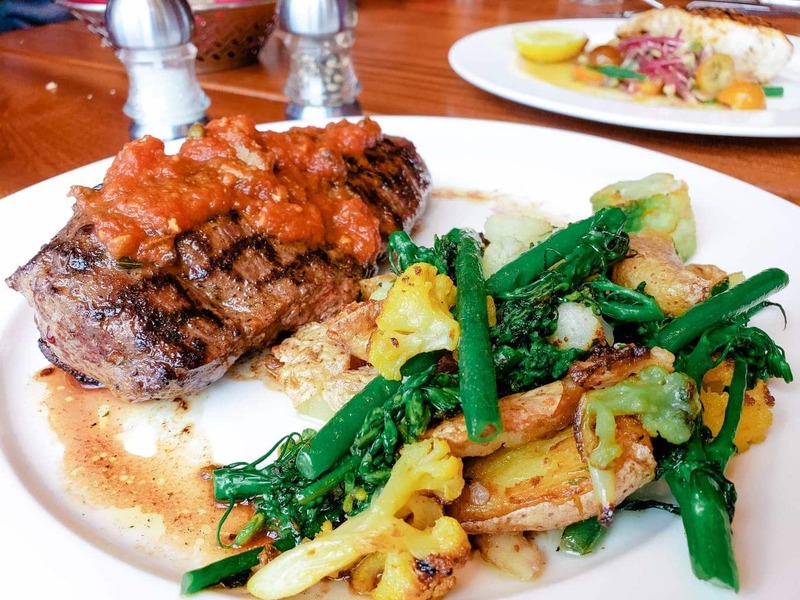 Or if you are wanting something without pasta, try their Steak Pizzaiola, seasoned vegetables and fingerling potatoes. The steak is so incredibly tender and juicy. They also have a full bar and some really great wine selections as well, so mom and dad can wind down after a long day sipping on a glass of wine. Sounds like the perfect way to end a day of exploring Disney! Enjoying lunch and dinner at this amazing restaurant is a must, but they also have a great brunch option as well! 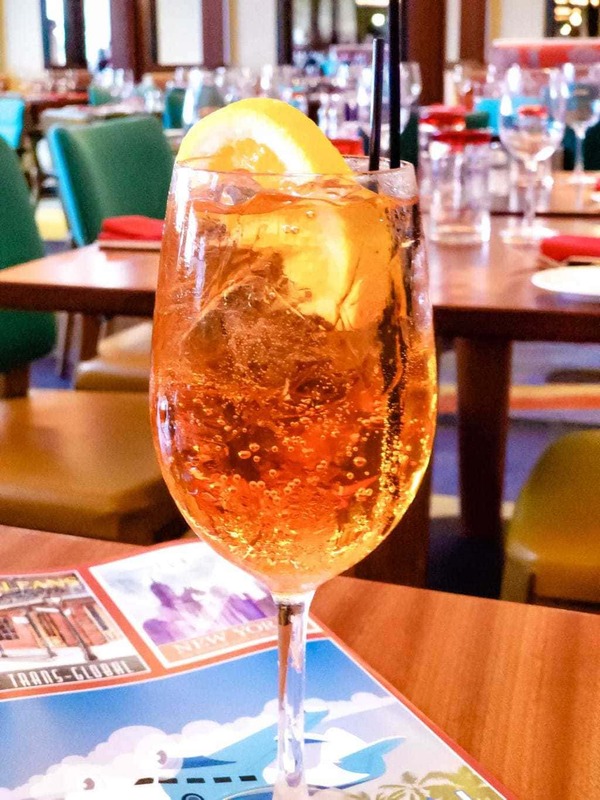 Every Sunday, Maria & Enzo’s offers Sunday Bonjourno Brunch that features made-to-order Italian favorites! If you want it, they can make it! Plus, in addition to that, they have a buffet of authentic meats, cheeses, pastries, and traditional brunch selections. The great part about their brunch option is that children aged 9 and under eat free during brunch! If you happen to be an Annual Pass Holder with Disney, your lunch ticket will be discounted by 40%! That’s a huge amount of savings to keep in mind when considering your dining options at Disney Springs. 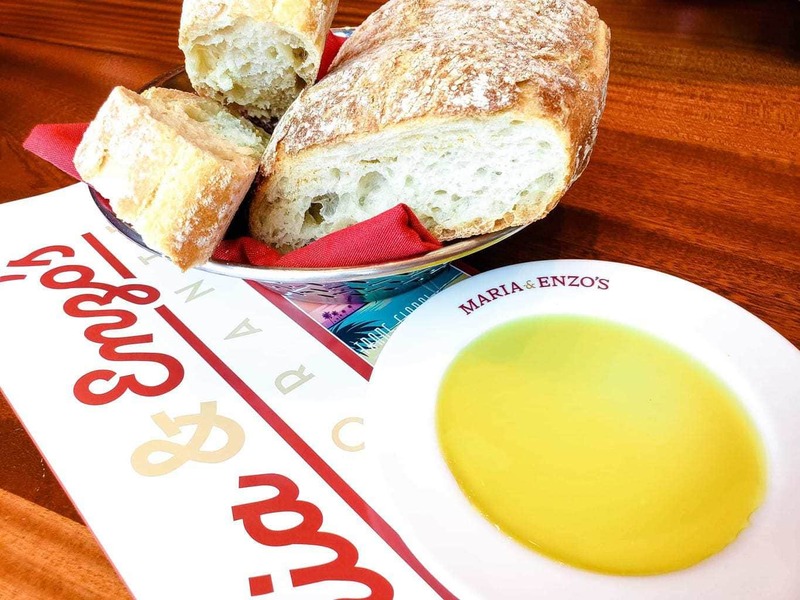 If you are hungry for some amazing, authentic Italian food during your time at Disney Springs, Maria & Enzos is the perfect dining spot for you. You’ll arrive hungry, and leave happy. But you can’t leave without dessert! There just are not enough good things that can be said about dining at Maria & Enzos. The story and history of this Italian eatery are one of the most fascinating aspects of this restaurant and the food? Beyond delicious.